A contemporary mix of stripes constructed with strong nylon and quality hardware. 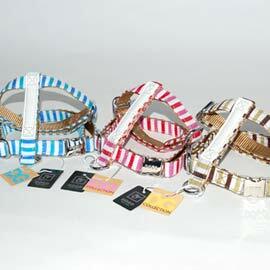 Size is adjustable by the neck and girth - easily worn with chrome plated quick release buckle. Fits nice, and looks great!